There was a nice piece on Lois Lowry, written by Dan Kois, in the October 3 edition of The New York Times. It’s worth reading. 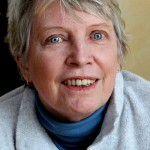 I’m not a fanboy by nature, but with Lois Lowry I make an exception. I hold her in the highest regard, with great respect and admiration for the integrity of our work — and, even moreso, her commitment to her work. I think of her in the way I thought of Arnold Lobel: the real deal, the genuine magilla. She was preceded to the lectern by the principal, who told the bored, uncomfortable kids that these were their golden years. When Lowry spoke, she told them the principal was misleading them. These weren’t their golden years at all. At best they were a dull beige. She reminisced about her own eighth-grade year, when she was obsessed with a girl in her class who had enormous breasts when Lowry had none. I love that: I chose the kids. I’ve asked myself if that’s always true of my own work, or even if it’s possible. With the Jigsaw Jones series, for example, I was always aware of the potential parent in the room, the mother reading the story out loud at bedtime. And I was aware of the gatekeepers, the teachers, the librarians. Even before that, my editors and publisher. You have to navigate through a lot of adults before reaching an actual kid. Maybe that was wrong, but I tried to please those adults, too. Is Ms. Lowry somehow implying parents should censor their children’s reading habits if the book doesn’t rise to the level of hers? I hope not. Where is it written that to praise one author one is obliged to disparage others? Or that there is only one right way to write a book — or even one right way to write a dystopian novel for teens? Since when is literature, or even one subgenre of literature, a zero-sum game? 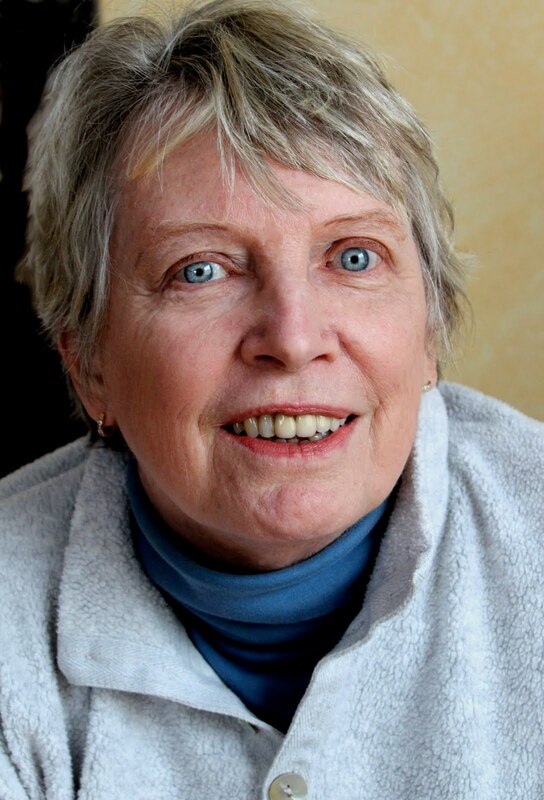 I am beyond sad for Lois Lowry’s loss of her son, and in awe of her writing ability. Nonetheless, to imply that there can only be one kind of ‘good’ book for children and teens, and that all books written for the latter are violent and negative is simply ridiculous. Why must every discussion of children’s or young adult literature invariably devolve into some sort of dismissal, in this case, that “every young adult book published is a dystopian thriller packed with action sequences,” a claim so easily disproven as to need no examples? Even as the NY Times (and NPR and many others) force themselves to acknowledge the indisputable presence of the YA market, there is always an undercurrent of “less-than,” and why is that? Is its sheer popularity a threat to some other authority? Maybe. Yes, the dismissal gets very old. Anyone who walks down the aisle can disprove it immediately, and yet journalists and pontiificators insist on doing it. Surely the days of dissing the fiction that shapes our adult minds should be over? What’s worse, these pronouncements are usually made by those who have made no effort to read what is available–and sadly, that includes Ms. Lowry. All kudos to Lois Lowry, but I’m not sure why granting those kudos requires the digs at the Hunger Games, a series of novels embraced by no less a literary critic than Stanley Fish (and on this website!). Euthanizing a baby, worrying about another girl who has large breasts while she has none, violence by children. This is supposed to help children understand the world? As a former children’s librarian, I read this article with interest and pleasure. Having enjoyed Lowry’s “Looking Back: a Memoir” so much so that I have given it as gifts to several people, I was thrilled to get a little bit more of the back story of her son’s death. That said, I am a bit shocked to see all the negative and angry comments. Methinks these folks doth protest too much! Mr. Kois you have done a fine job interviewing a Newbery medal winner and a legend. Kudos. This is a wonderful piece of journalism. The quotes the journalist chose and the direction he went is beautiful commentary on a quartet of books that are so rich in meaning and beauty I think everyone on earth should read them. Lois Lowry is a genius in her writing. I am sorry for those who have commented against what she said and what was written. She said good things about The Hunger Games. Her criticism of it was not against the author or the writing, but she gives thoughtful questions about why children killing children is a good thing to highlight. We can disagree with her or agree with her, but to then slam her for her opinion is not a good thing. She doesn’t slam The Hunger Games author at all. If you haven’t read Lois Lowry’s books I recommend them. I’d let my youngest child read them though the material is not all happy. But it is written in a way that will get them thinking about what life is about. 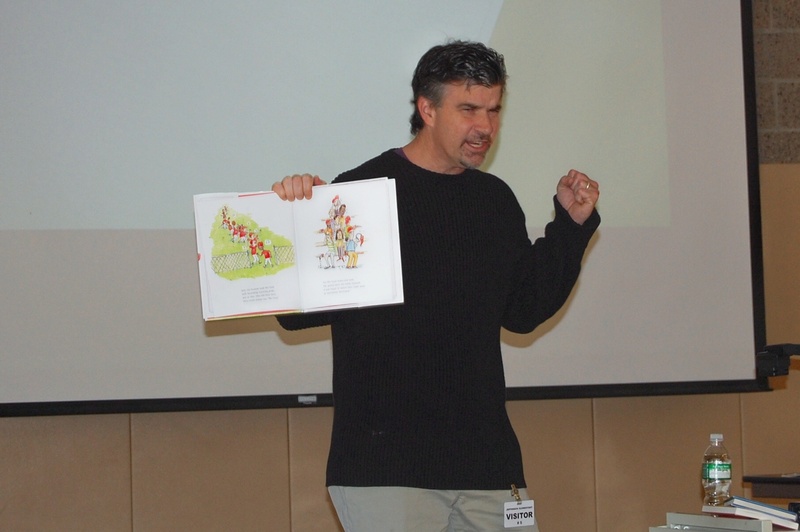 I first learned of Matthew Cordell when he was hired to illustrate my picture book, MIGHTY CASEY. Despite Matt’s great artwork, the book never really found an audience, and I guess it sort of died on the vine, as they say. But there are two great things that came out of that book. First, my ongoing friendship with Matthew and his amazingly talented wife, Julie Halpern. Someday I hope we’re all in the same room! In my opinion, Matt is a hugely gifted illustrator, and a true artist, and an heir in his approach and dedication to Arnold Lobel, who is one of my all-time heroes. He’s also got a touch of William Steig. Look, I’ll say it. A lot of children’s book illustration, while technically spectacular, isn’t very appealing to kids. Matt’s work, on the other hand, is loose and inviting and draws readers into the story. 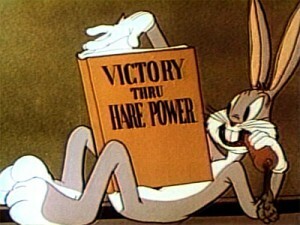 Like Lobel, and Steig, and James Marshall, and all the best. I really think Matt is that good, and he’s just scratching the surface. Secondly, I’m gladdened by the consistent pleasure I experience when on odd times I pull out MIGHTY CASEY and read it aloud to large groups of students. I’m telling you, it works every time. We laugh, we have fun, and by the end these kids are right there, leaning in, eager for the play at the plate. Sales or not, those experiences tell me that Matt and I did good together — we made something, you know, put it out into the world. It’s all we can do. Anyway, Matt created a homemade trailer for his new picture book, ANOTHER BROTHER. Now on sale on every street corner, car trunk, haberdashery — and independent bookstore, too! After I began this blog, it slowly dawned on me that I wasn’t alone. There were other like-minded bloggers out there, dozens maybe. Which led me to a site called Literate Lives, hosted by a classroom teacher and a school librarian, Karen Terlecky and Bill Prosser. Karen wrote what I considered a kind, insightful review of Along Came Spider. So naturally I fell in love. Looking around the web today, I’m continually awed by the dedicated literature-lovers out there. All those people who night after night devour the written word. The real readers who, like Bill and Karen, find no greater pleasure than to bring a child and a good book together. As for the below, please be advised: I will now be attempting the perilous two-headed interview . . . Okay, Bill and Karen, life wasn’t busy enough. So you started a blog. What on earth were you thinking? Bill: When I became a librarian last year after twenty-four years of classroom teaching, I knew I wanted to try blogging about books. Around that same time, Karen casually mentioned that she was interested in starting a blog. She wondered if I wanted to team up. It was a no-brainer. I got to accomplish a goal, work with a great teacher, and cut my workload in half. Now almost a year later, we are being interviewed by James Preller. Well, Mitzy Kafka couldn’t make it. She’s at a health spa outside of East Orange, New Jersey. And if you want to read that as “rehab,” that’s entirely up to you. Karen: I am so glad Bill remembers the exact train of events, because my over-fifty brain has blanked out on the specifics. What I do remember was Franki and Mary Lee from A Year of Reading gently prompting me to do this. Then, another friend, Katie, started Creative Literacy. I was very motivated by her success. I’ve loved every minute of it, and I so appreciate that I share the blog with Bill. 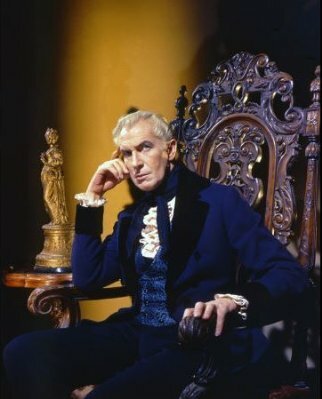 I know when I started this blog in early May, I felt a little like Vincent Price in “The House of Usher.” I was filled with an overwhelming sense of talking to myself in an empty room. Bill: Sometimes I still wonder why anyone cares about what I have to say. But then I’d get the one comment from an author, or parent, or friend — and I was hooked! Karen: We were fortunate that Mary Lee and Franki decided to “launch” us at their blog. That brought some visitors to see us that we might not have otherwise had. I have to admit that once we added SiteMeter to our blog, it became an addiction for me. Oh, I hear that. I need a daily shot of Google Analytics in my coffee. Karen: I know people stop by, but I wish that more people would leave comments. That would make it feel more personal for me, and less like me by myself. I love the back and forth of a conversation –- sort of like this interview! It’s all done with mirrors, Karen. I’m a lot like David Blaine that way. For me, the real revelation has been how the kidlitosphere began to open up — all sorts of different blogs, by people who cared passionately about the same things, from booksellers to editors, librarians and teachers and authors. People like Roger Sutton, Jen Robinson, Matthew Cordell, Dennis Cass, Nan Hoekstra, and on and on. I’ve found it really inspiring. Karen: I am amazed at the connections I’ve made. Last year, shortly after Bill and I started our blog, we presented at a literacy conference here in Dublin. We met one of the bloggers whose posts I followed on a regular basis –- way fun! In addition to our group of Central Ohio Bloggers (fabulous people! ), I have also had an opportunity to chat online with authors who have stopped by our blog, and even two publishers. This concept of internet connectedness is pretty amazing! BIll: It’s helped me be better at finding and recommending good books to my students. Bill: Blogs help me stay ahead of the curve. A lot of the bloggers are getting advanced copies, so I know what’s coming out, before it comes out. Even with things that are released, blogs are quicker than waiting for the monthly journals that review books. In most cases I’ve already heard of or read many of the books being reviewed because I got a heads up from somebody’s blog. Karen: I’ve learned a lot about myself as a writer. I’m so jealous of my blogger friends who can read a book and dash off a post. I’m very critical of my own writing, and revise multiple times. It takes me at least an hour per post before I hit that “publish” button. Huffington really believes in that “first draft of history” concept. But with a book review, there are definite responsibilities. Karen: I think you’re right –- I wish I could get on board with Ariana’s thinking. I’m just always considering my audience. For better or worse, what I put in my blog posts is how most of the reading audience (students, parents, fellow bloggers, authors, publishers) know me as a person. I guess with that thought comes some responsibilities. Like Uncle Ben’s line from the first Spider-Man movie, right? With great blogging powers comes great responsibility. 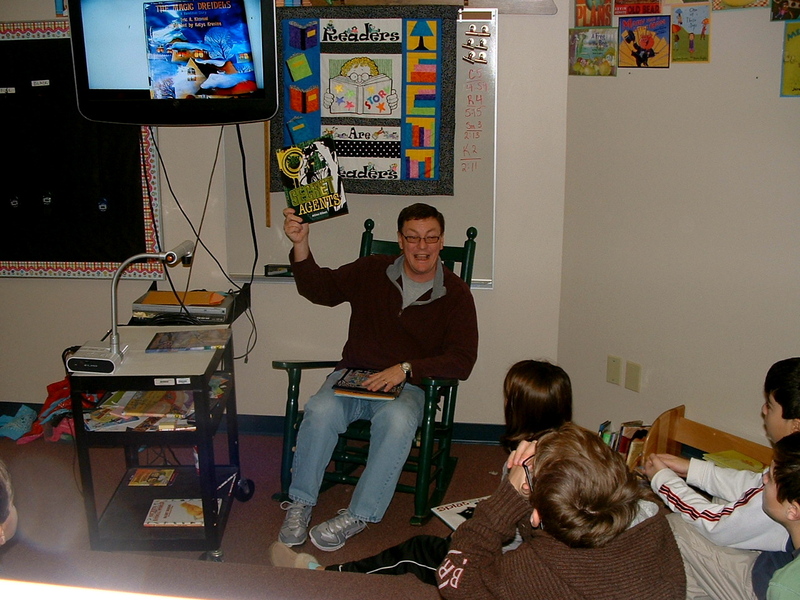 Anyway, Bill, you revealed in your first blog post that you set a goal, ten years ago, to read every Newbery winner. Bill: I try to read the winner before it’s announced, so I can feel really smart and informed. So far I’m batting zero on that. I’ve managed to hit a few of the Honor Books. After all those years of teaching, Bill, you decided to become a librarian. Was that a mid-life crisis? Shouldn’t you have just bought a fancy red sports car? Bill: I hadn’t thought of the sports car. I’m still driving a minivan, zero to sixty in twenty minutes. My wife complains that our minivan sucked the last ounce of coolness right out of her. I tell her that it isn’t true; she still has a few ounces left. Bill: Thanks for that, now I’ll never be able to convince my teenage children that minivans are cool. When I got my Masters about 20 years ago, I looked into getting the library certificate. But at that point in my life, it was too big of a time commitment. I’ve always loved the library from when I was a kid, so it seemed a natural fit. The sports car may have been more fun, but I doubt it. My piles of books are a mile high. I’ll have a long beard by the time I read them. Karen, you are a fifth-grade teacher and . . . a part-time proctologist? Do I have that right? Karen: I’m fairly certain they’re not paying me enough if I am a part-time proctologist! 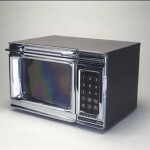 The idea of that makes me laugh –- it gives a whole new twist to my beginning of the year assessments! That’s right, I heard you can be a real pain in the assessment. Karen: LOL! My high school daughter got quite a kick out of that last statement! Back on topic — this year, I am a full-time fifth grade teacher. This is after two years of splitting myself between jobs, teaching language arts and social studies half days, and then giving curricular support to other teachers in those two areas as well. I love the all-day community in my classroom this year. I have a fabulous class, and enjoy each moment with them. Karen, let’s just ignore Bill for a while . . .
. . . I was taken by how you described, in your first-ever post, your “great reading life.” It feels like this blog is an outpouring of that life, that love. Karen: I have loved reading my entire life. I can remember being the first in line on the days the bookmobile came to our neighborhood. I had very understanding parents who allowed me to collect all the books in the Nancy Drew, Cherry Ames, and the Bobbsey Twins series. I used to be in book clubs with my friends way before it was a trendy thing to do. Being able to share this love of reading and books with my students on a daily basis is a gift for me. Together, we really create a community of readers. The blog is just an extension of my own reading life and my love for books. I’m staggered by readers of your knowledge and commitment. In that, I think being a writer pretty much prevents me from becoming a great reader –- in the sense of a broad reader, expansive and up-to-date. Bill: I think our profession sort of demands it so we can keep up to date for our kids. In your profession it might get distracting to your writing? What do you think? That’s it, exactly. In fact, I shouldn’t even be here right now. Karen: I feel like it comes in cycles for me. My avid reading times are in the summer, at the beach, and at any holiday break. I am in a “down” time right now, but I am eagerly awaiting our holiday break in two weeks! A few things help me stay up-to-date with current books: Bill introduced me to the awesomeness of the “new book” section at our public library, I have friends who are willing to share their Advanced Reader Copies, and we have a fabulous independent children’s bookstore here in Columbus called, Cover to Cover. The owner, Sally, is gracious about sharing the best of the new books in the store. Well, we’re all in it together, right? Isn’t that the subtext of this discussion? Karen: Absolutely! When the small group of Central Ohio bloggers gets together, we never seem to run out of things to talk about. And central to all our conversations are books –- we love being able to refer books to each other, and talk about mutual books we love. And then I look at how we’ve connected with you over such a short amount of time, just because I happened to review Along Came Spider –- it’s back to being connected to one another’s lives through books. I get a kick out of how you guys flip out over books you love. What’s the big deal? Bill: There is nothing better than connecting with a kid over a great book. Karen: When I read a book I thoroughly enjoy, I want to share that with others. I agree with what Bill said about the connections you make with kids. The students who come to school and tells me they read a post about a book and had to get a copy so they could read it themselves –- that’s the big deal about books for me. Let’s talk about the Newbery Award. In reading them all, Bill, did you come across any stinkers? Bill: Definitely. School Library Journal just did an article on this last month, “Has the Newbery Lost Its Way?” written by Anita Silvey. It was well done and so true. I tend to like the Honor Books better than the actual Medal Winners. Somewhere along the way the voters forgot that these were books for kids, not adults who read books for kids. I spoke with an editor recently who felt that it hurt the entire industry when they name a book that isn’t kid-friendly. Not that it should be a popularity contest, but that child-appeal should be an important factor. Or do you believe that the committee should rise above any commercial thought of “promoting the industry?” I guess the question is, are some of these committees out of touch with what kids are willing to read? Bill: I don’t think the Newbery committee has the responsibility to sell books, or that it is a popularity contest, but they do have the responsibility to pick books that kids will read and enjoy. Otherwise why say the award is for fiction geared for ten to fourteen year olds? If the books they pick aren’t written for those ages — what’s the point? And yes, I think some of the committees are out of touch. That said, there are examples recently, especially in the Honor selections of books that might not have made much of a splash without the award. Once they had medals attached, teachers read them and then put them into the kids’ hands. A couple that come to mind are Al Capone Does My Shirts and Lizzie Bright and the Buckminster Boy. So what book is going to win the Newbery this year? Bill: I like Waiting for Normal by Leslie Connor; Diamond Willow by Helen Frost, and my dark horse is Itch: A Novel by Michele D. Kwasney. However, The Underneath will probably win and I don’t really like it much. Karen: I’ll be rooting for Waiting for Normal. Wow, good for Leslie Connor. She grew up not far from here, outside of Schenectady. 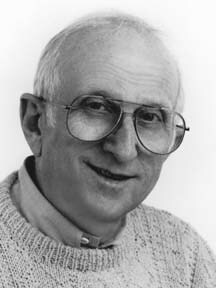 Arnold Lobel grew up in Schenectady, too. Must be something in the water. Okay, lightning round. Favorite books? Karen: All-time favorite, Little Women. Adult favorite –- I’m a Jodi Picoult junkie! Bill: Hattie Big Sky; Johnny Tremain; Make Way for Ducklings; Twelve Terrible Things . . . I could go on and on. Karen and Bill (talking really fast, together): A Year of Reading! Jen Robinson! 100 Scope Notes! The Miss Rumphius Effect! The Reading Zone! Two Writing Teachers! Creative Literacy! Barbara O’Connor! And, of course, your blog! You had to say that or I’d never let you out of here. Anyway, Karen and Bill, thanks for the interview. And thank you, most of all, for the very real contribution you make to children’s literature. 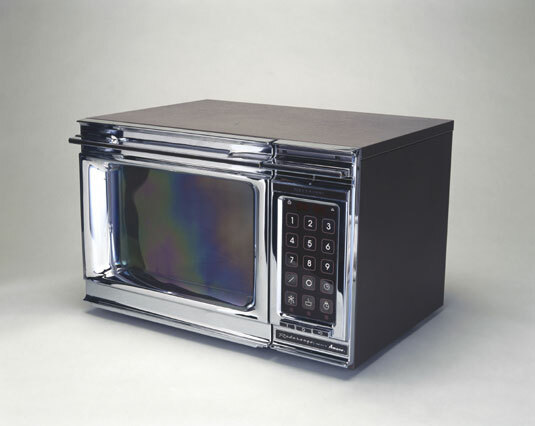 Please accept this 1978 Amana Radarange Touchmatic microwave oven as a parting gift. “When I am writing, I think of myself as a writer. But when I am illustrating, I think of myself as an illustrator. I think, though, that I try to create situations with my writing that will be fun to illustrate. The writer in me tries to please the illustrator.” — Bernard Waber. I interviewed Bernard Waber in the early 1990’s. We spoke again a couple of years after that. I had hoped he could contribute to a book project, but we got sidelined when my son, Nicholas, was diagnosed with leukemia at age twenty-six months. Work just stopped for a while. Bernard understood, of course, and sent Nick a stuffed crocodile, some books, and a lovely handwritten note. You don’t forget things like that. So, yes, there’s bias here, an affection that goes beyond books. When I spoke with Bernard Waber more than 15 years ago — and I’m happy to report he is still going strong at age 84 — his intelligence shined through. He spoke about his craft with clarity and immodesty, as clear and refreshing as cool water. An innate goodness courses through his books. And his stories, no matter how humorous — how sly, dry, and understated — often contain real sensitivity. He writes from the heart. Ira Sleeps Over finds Waber at his best, capturing the inner angst of a childhood dilemma: the first sleepover. Ira is invited to sleep at his friend Reggie’s house — but he has never slept without Tah Tah, his Teddy Bear. Can Ira risk the embarrassment? With staccato dialogue, Waber deftly explores Ira’s confusing, conflcting emotions. In addition, the dynamic with the older sister rings so true. Because somehow Waber knows. He remembers. When I think of Bernard Waber, I think of someone who showed us what a picture book can achieve. Laughter, childlike appeal, and adult insight. For that, and for more personal reasons, I offer this tribute. I don’t know who handles these things, but I hereby nominate Bernard Waber for a lifetime achievement award for his contributions to children’s literature. Note: If you enjoyed this appreciation — the fourth in a series — just click the links for thoughts on other literary lions: William Steig, Arnold Lobel, and Raymond Chandler. As an author, I’m often asked to list some of my favorite writers. Of course, it’s impossible. There are too many. But one name always comes to my lips, Arnold Lobel. And I think the reason is this: his total commitment to children’s literature. To me, he was the master. A while back I had the opportunity to write brief profiles of 75 children’s book authors and illustrators for a book titled, in lunk-headed fashion, The Big Book of Picture-Book Authors & Illustrators (out of print, alas). I interviewed many amazing people — James Marshall, Barbara Cooney, Bill Martin, Jr., Barbara Park, Bernard Waber, Trina Schart Hyman, Kevin Henkes, etc. — but, unfortunately, I was too late for Arnold Lobel. He died after a long illness on December 4th, 1987. But I did my research, read most of his books, found his classic acceptance speech for the Caldecott Medal, and came away with great respect. I love the “Frog and Toad” titles, of course, and Fables, and Ming Lo Moves the Mountain, and my personal favorite, Whiskers and Rhymes. But more than any individual book, I most love his bright, shining spirit — his commitment to his craft — his intelligence — his deep feeling — his legacy. Time rolls forward. These days, at social events, some good fellow will sidle up beside me, possibly curious about this palpable oddity, a real live children’s book writer in his midst. And he’ll ask, not unkindly, “Do you think you’ll ever try to write a real book?” Meaning, of course, an adult book. I’m not insulted, much. I’ll just smile and say maybe, perhaps, I don’t know, but right now I’m pretty challenged trying to write children’s books. In my upcoming book, Along Came Spider, there’s a school librarian who plays a minor but critical role in the story. Her name? Miss Lobel. Now you know how I dreamed up the name!